The Little House of Concrete Bookshelves: Peter Corris "Silent Kill"
A silent kill, Cliff Hardy ’s friendly Intelligence Agency acquaintance informs him, is one of those rare instances where intelligence chiefs sanction the removal, leaving no body, witnesses or clues, of people whose continued existence constituted a serious threat. To national security? Hardy asks. Yes, Josh Carey responds, but more often to the organisation itself. That exchange takes place at the beginning of Chapter 28, but it’s fairly obvious from very early in the piece that the ex-firebrand student agitator turned populist whistleblower Rory O’Hara would be a prime candidate for a silent kill. Given that description, O’Hara obviously has enemies, and he still hasn’t recovered from a hit-and-run incident that was almost certainly not an accident when Hardy’s ex-commando, stuntman and actor Jack Buchanan approaches him with a job offer. Buchanan has sunk a lot of money into O’Hara’s forthcoming speaking tour, which is going to attract very big, high-paying audiences and will be followed by a documentary, high-profile television interviews and a book deal. The tour is also going to publicise O’Hara’s new political party, which looks like attracting significant defectors from both major parties and The Greens. That means you’ve got all the major parties as potential enemies, along with the people behind a massive development project in the western suburbs that O’Hara had exposed as shonky and corrupt. That adds a fundamentalist Christian church, a major trade union, a superannuation fund and … an outlaw bikie gang to the enemies list, along with corrupt local councillors and a state government minister. The fear, as far as Buchanan is concerned, is that there’s a traitor lurking in O’Hara’s entourage. He wants Hardy to act as a combination of bodyguard, security consultant and traitor detector. The first stop on the speaking tour is Wollongong, which is also where it ends after O’Hara’s girlfriend is abducted and the abductor is murdered. So much for the security consultant gig. The murder victim’s wealthy brother, however, comes to the rescue, hiring Hardy to investigate the murder, and providing almost unlimited financial resources to fund the investigation. Hardy uncovers assorted hidden agendas among O'Hara's entourage, powerful political, intelligence and commercial concerns in an investigation that winds its way through Sydney, Darwin and Canberra. 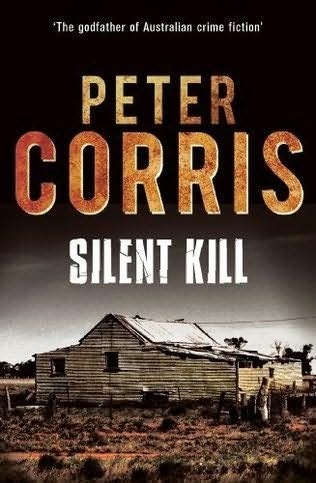 Along the way, he picks up the clues that lead him to the killer with the assistance of the resourceful Dave Burns, a Tiwi Islander (the only indigenous person with a PIA licence, as far as I knew) and an uneasy alliance with O’Hara’s former personal assistant, who has her own scores to settle as far as the killer is concerned. The heritage township of Gundaroo delivers a terrible secret, and the pursuit leads to a Russian cafe in Manly where his quarry, who has turned out to be a rogue intelligence agent with psychopathic tendencies plays highly competitive chess for money. Hardy’s private life remains as messy as ever as he becomes involved with the attractive personal assistant, the former swimmer and motivational speaker Penelope Milton-Smith, who has gone back to using her maiden name (Marinos) while set tries to avoid the killer. That comes after the departure of his live apart girlfriend to greener pastures in Los Angeles, and while the new interests have been known to stick around from one book to the next, Penelope is damaged goods and follows professional advice to move on. It’s a remarkable achievement by one of the icons of Australian crime fiction, delivered with the regulation hard-boiled observations at a crisp, page-turning clip. Corris’ eyesight is failing, but hopefully we’ll get to Hardy #40.